Owning a trailer boat is a brilliant way to explore every nook and cranny of our great country and have many great adventures at the same time. It doesn’t matter whether it’s a paddle-powered craft, a small tinnie or an offshore warrior – boats deliver unique experiences in a range of environments from natural frontiers to cosmopolitan cruising. Yet owning a trailerable boat has its own set of practical and legal requirements. 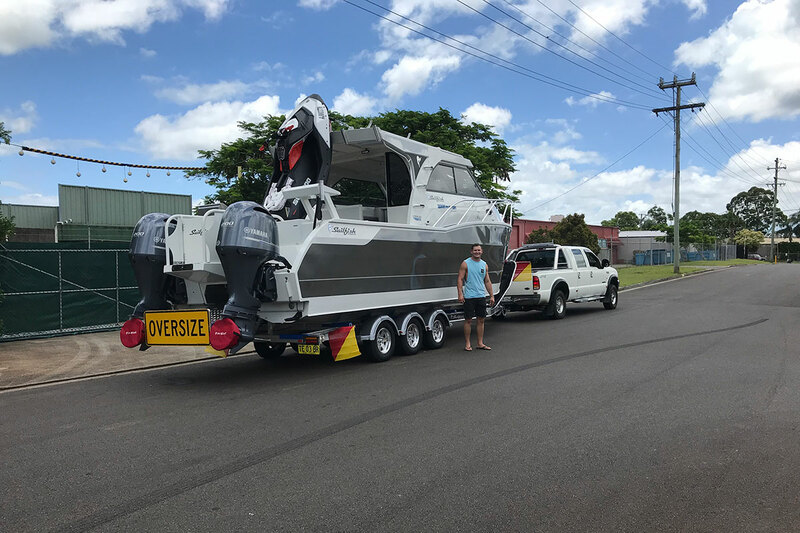 So how can you safely and legally tow your boat throughout Australia? Let’s explore! 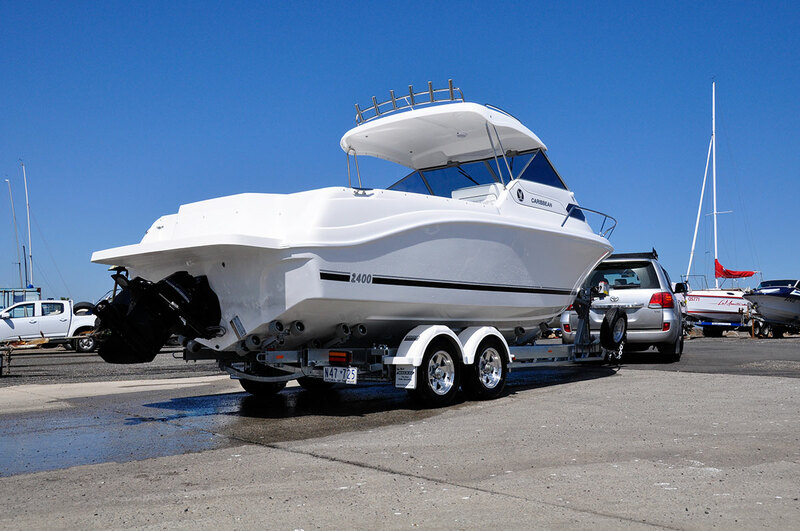 Firstly, ensure that both your vehicle and trailer are up to the legal and physical task of towing your boat. There are two main compliance issues you need to consider. 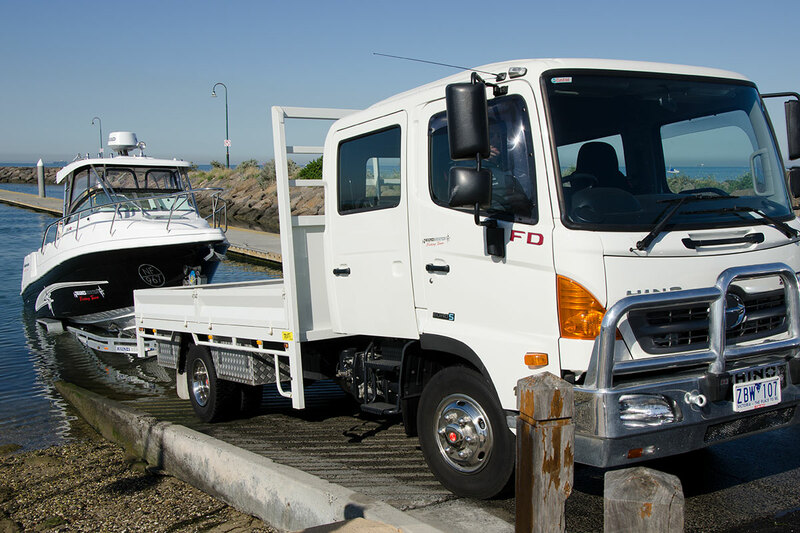 Throughout Australia, the allowable maximum mass for the trailer is either the capacity of the vehicle’s towing attachment (the towbar) or the towing capacity specified by the vehicle manufacturer for the towing vehicle, whichever is the least. All trailers with a gross trailer mass (GTM) exceeding 750kg must be fitted with an efficient brake system which operates on all wheels of at least one axle. Where the GTM of a trailer exceeds 2 tonnes, the brakes must be designed to be operated by the driver of the towing vehicle from the normal driving position and be fitted with equipment to automatically apply and hold the trailer brakes on for at least 15 minutes in the event of the trailer breaking away from the towing vehicle (breakaway brakes). Over-run brakes are not permitted on a trailer with a GTM which exceeds 2 tonnes. There are a few important considerations here. The first is that there are still many trailerable boats that were built before the ADR (Australian Design Rules) changes in 1989 and ensuing updates, so there are many trailers carrying more than 750kg without brakes or the four-wheel breakaway systems as now required for combinations over 2000kg. These trailers are still quite legal if continuously registered and transferred, although they may not meet the requirements of the towing vehicle itself, which renders the load illegal and insurance void. Secondly, check your load. Manufacturers and dealers often supply trailers that are close to the maximum capacities. A fully loaded boat may well take you over the prescribed maximum weight. Remember that the GCM includes the loaded weight of the vehicle as well, including the passengers. It is well worth taking your rig to a public weighbridge to check its actual, not quoted, weights. You may well find some surprises! Towing takes into account all manner of changes to the way you drive including loading, stopping, powering and clearances. Unsafe loads are a danger to everyone. Ensure the load is properly distributed with the coupling height providing an even load across all of the tyres. A rule of thumb ball weight of around 8-10 percent of the trailer mass is commonly accepted. However, vehicles and towing couplings also all have their own requirements. Overall, it is vital to ensure your trailer is well serviced, particularly with regard to tyre pressures, wheel bearings, brakes and lights. A quick note about securing your load. There has been much talk about safety chains, and D-shackles in particular. Ensuring that you use rated shackles removes any doubt about your ability to tow your boat safely. 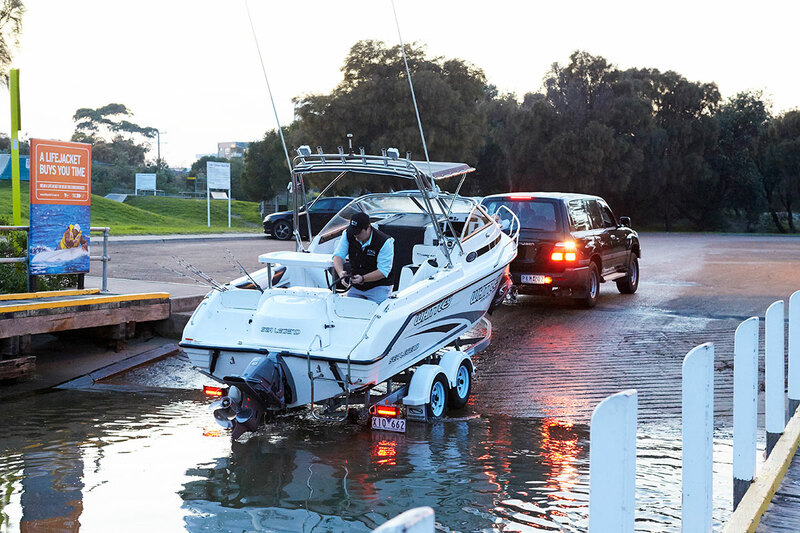 The often forgotten part is tie-downs of sufficient strength to retain the load are required by law, and in states such as South Australia you must have white or bright coloured flags attached to the outboard motor leg during the daytime and a red light (only if fitted) at night. There’s really no teaching common sense – you’ve either got it or you haven’t. However, time spent with more experienced operators will certainly help you learn. If you are new to towing, then practice on quiet roads, not peak traffic conditions. Towing a long trailer means you must make added allowances for a wider arc when turning, and the added length means you need to constantly consider your placement in traffic. It seems that it is only legal to take up more than one lane if you display “Do Not Overtake Turning Vehicle” signs, however in the real world you may find it necessary to do it occasionally to make a safe turn. Check the height of your load and write it down on a sticky label for the dashboard. It can be a saviour when confronted with a quick decision for a low bridge clearance. Efficient reversing skills when you are towing a trailer are vital. A quiet boat ramp provides a terrific spot to hone your skills, especially those ramps with defined lanes. Whilst it’s nice to have an experienced driver with you, it’s often best by yourself without any outside pressure. The overriding factor with speed is to always drive to the conditions and your technical, personal and physical abilities regardless of regulated limits. Vehicle manufacturers may also quote maximum speed whilst towing, which must be observed. The CCIA NSW website www.towingguide.com states: “For a motor vehicle and trailer combination that has a GCM of less than 4.5 tonnes, the posted speed limits apply, however, in Western Australia, maximum 100km/h speed limit applies when towing.” Similar regulations apply in NSW. Any GCM more than 4.5 tonnes implies its own set of heavy vehicle rules. In my personal opinion, 100kmh is fast enough for towing ANY load, regardless of legalities. Prepare for a long drive mentally and physically with plenty of rest prior, plus regular refreshing stops and good food – junk food can make you lethargic. Stay calm, cool and relaxed while towing. Reckless stop/start and aggressive attitudes get you nowhere except to be the first on the scene of an accident – literally!